You know how old you are. You know how old your friends think you are. Heck, you even know how old Microsoft thinks you are. But at the end of the day, does anyone other than Amazon really matter? Until now, the only way for you to know how old Amazon thought you were was to look at products recommended to you. I apparently spent too much time researching sci-fi short stories yesterday because those and an Echo are all Amazon thinks I need in life — bingo, Amazon really gets that I’m a tech-obsessed millennial. But no longer will we have to rely on such passé techniques! The team behind Amazon’s Rekognition API dropped a nifty feature today that lets anyone upload their photos to get the company’s best guess of their age. Today happens to be my friend’s birthday, so I was curious how Amazon’s tool compared against Microsoft’s How-Old.net and human crowdsourcing. First up was Amazon — the web app pegged my friend at somewhere between 26 and 43. This was slightly disappointing, given that he is considerably younger than 26. Though props for the 99.9 percent, almost certainty, on gender and the addition of “appears” next to happy. I’d have to fake the smile too if someone told me I looked 43. Despite Amazon’s blunder, they still did better than Microsoft at this game. Microsoft’s How-Old.net tool guessed my friend to be 30. Ouch. Team human did the best out of all three. After crowdsourcing amongst a fairly random group of people, the consensus was that the man in the picture was 22 and a half. Still older than reality, but only by six months. Just in case it was the specific photo I was using throwing everything off, I decided to re-run everything using a well-lit photo of myself. Unfortunately, the same thing happened. 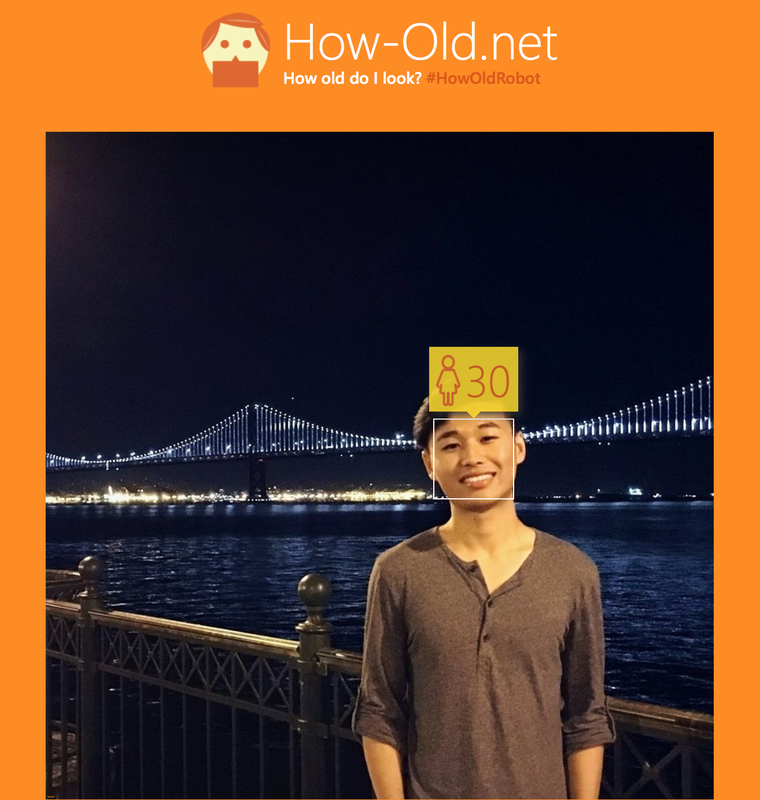 This time Microsoft said I was 27, which I guess is younger than my friend…so ha! Try them all out for yourself here and here. Feel free to share your ensuing existential crisis.